We’re going to DISNEY WORLD!!! 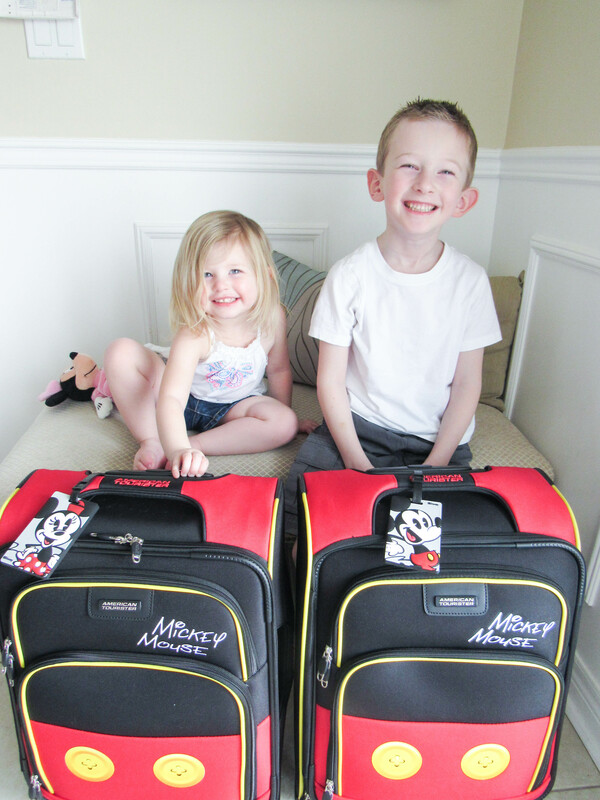 Ever since we told the kids we’re going to Disney World, they have been super excited. My son has been talking non-stop about this trip for weeks now. He is just so excited, he can hardly sleep!! This will be the second time my son has visited Disney. We took him when he was 2 years old, but he doesn’t really remember it. We stayed for 2 nights, but only did Magic Kingdom. This year, we decided to do 2 parks. Since my son is into dinosaurs, we decided to do Animal Kingdom, and Magic Kingdom this trip. I’m excited for this trip because it will be my first time visiting Animal Kingdom, and my daughter’s first time visiting Disney World all together. 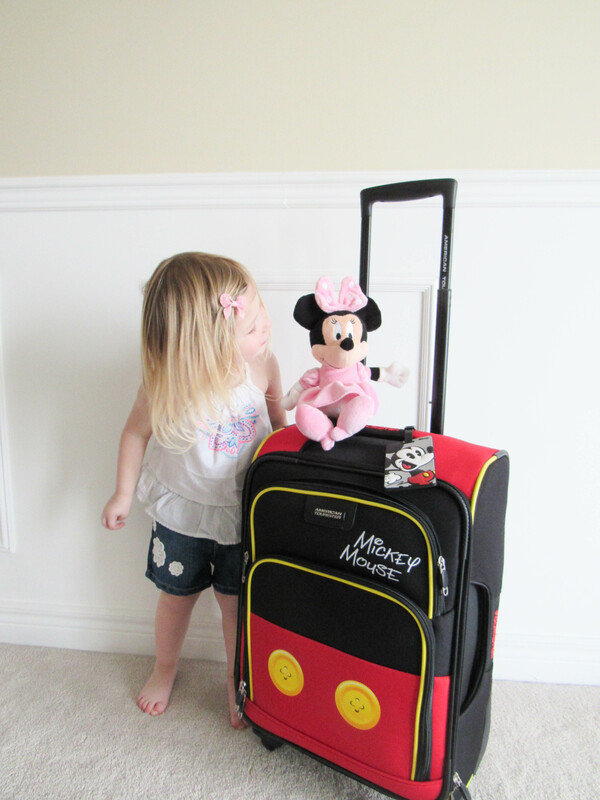 She is going to be so excited to meet Mickey and Minnie Mouse! We’ll be heading to Florida in just a few short days to stay at my in-laws condo in Naples. Then we will leave from there, and stay at Disney again for 2 days. 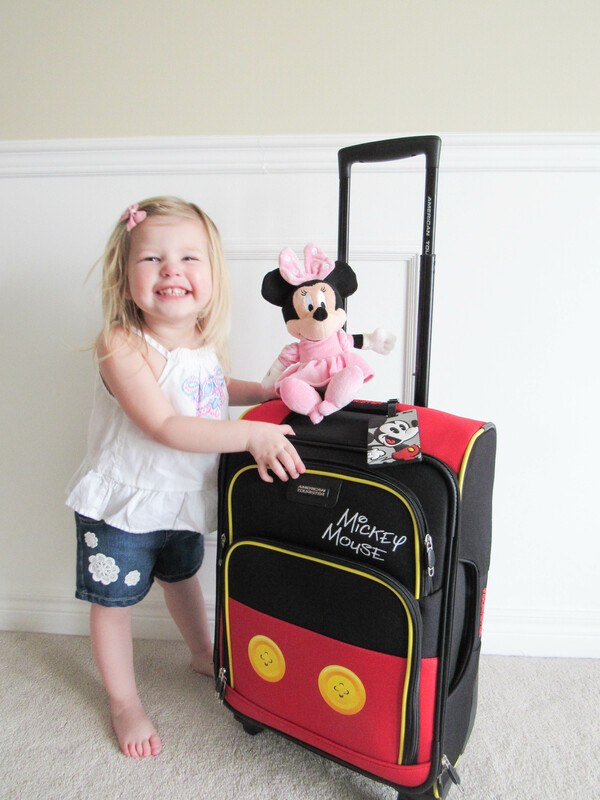 Since the drive to Disney is only a few hours away, we thought it would be fun to add Disney to our family trip again. 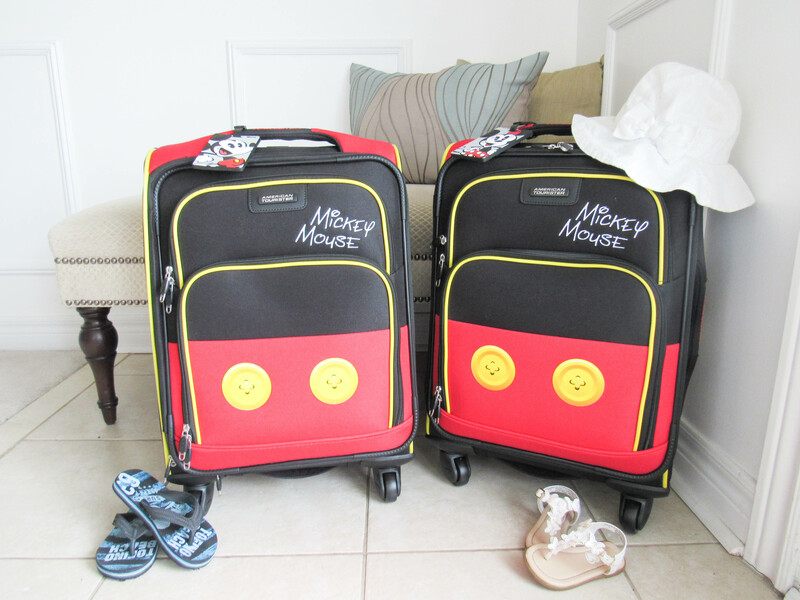 The fact that it’s a very short trip to Disney, we don’t really need to bring our large luggage bags with us, so these American Tourister carry-on bags are an ideal size. 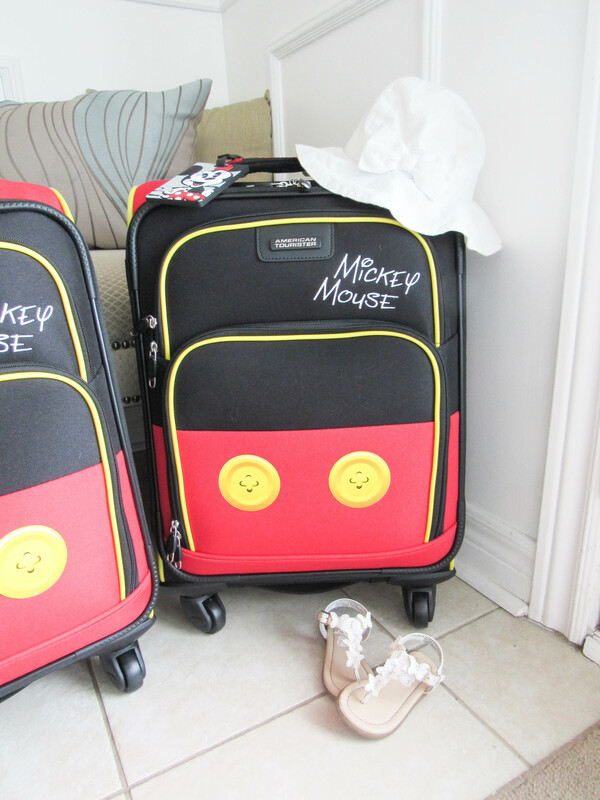 And how perfect is the Mickey Mouse theme??!! 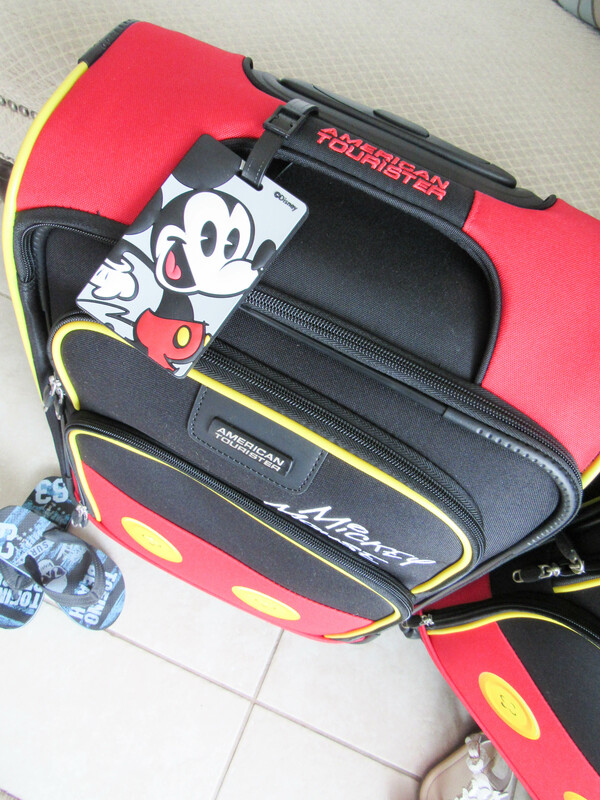 The American Tourister Disney Mickey Mouse carry-on bags are each 19” in size, and weigh just under 7lbs. They are designed to fit in most airline overhead compartments. These bags are such great quality. 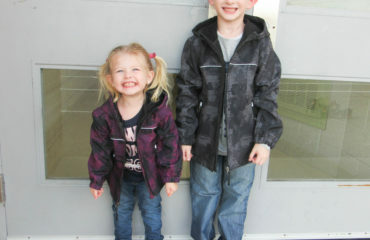 They are made with durable polyester fabric which will stand the test of time. There are 2 small zipper pockets in the front of the carry-on bags. These are perfect for the kids to store their reading books, colouring books, and crayons which is going to keep them occupied on our drive to Disney. The other zipper on the bag opens the main part of the luggage to store all of our clothes. These bags also have 4 spinner wheels which allows for 360 degree upright rolling in multiple directions. 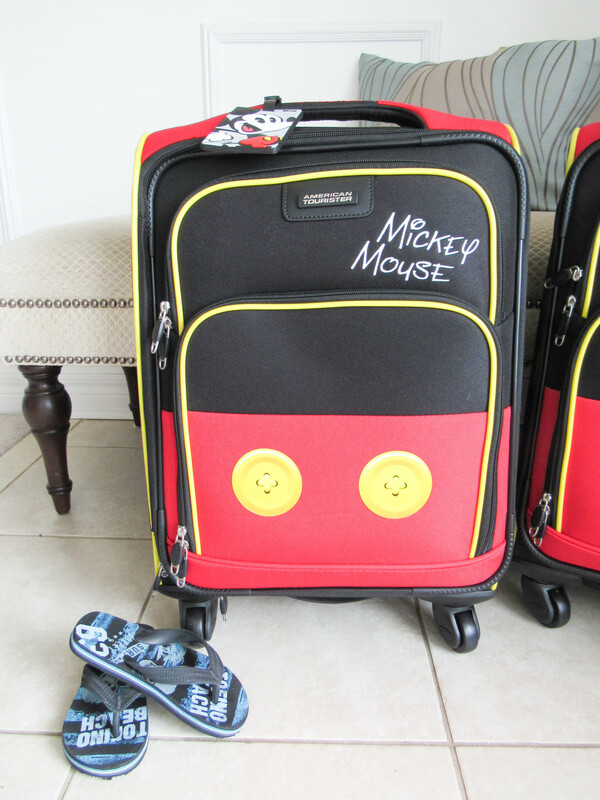 This will be great for the airport, and bringing our bags to the hotel in Disney. 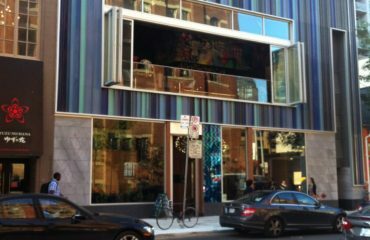 There is also a retractable handle that locks into place for moving around, and then stores neatly inside when not in use. If you need to lift it into the car or overhead compartment on the plane, there is a handle on the side of the bag as well. 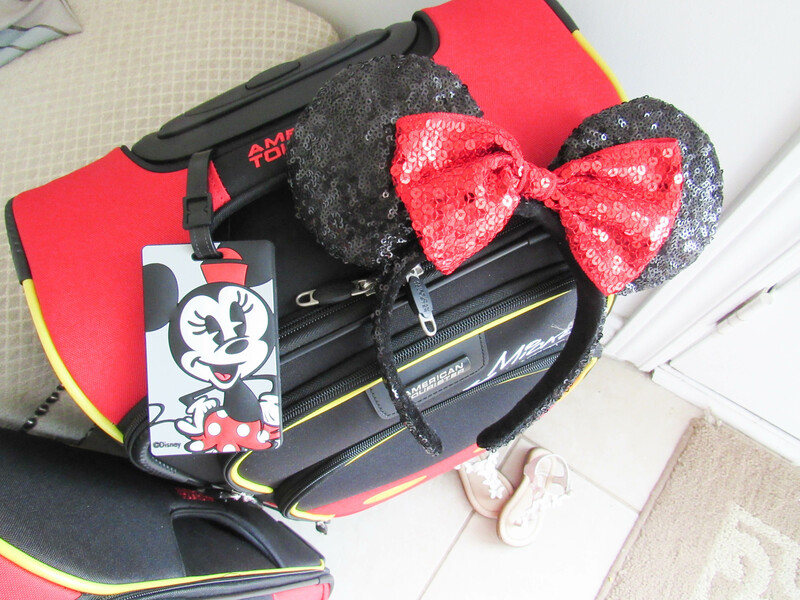 How cute are these ID Mickey and Minnie tags? The kids absolutely love them! What’s great about these is that we can now easily identify who’s bag is who’s from the tags. 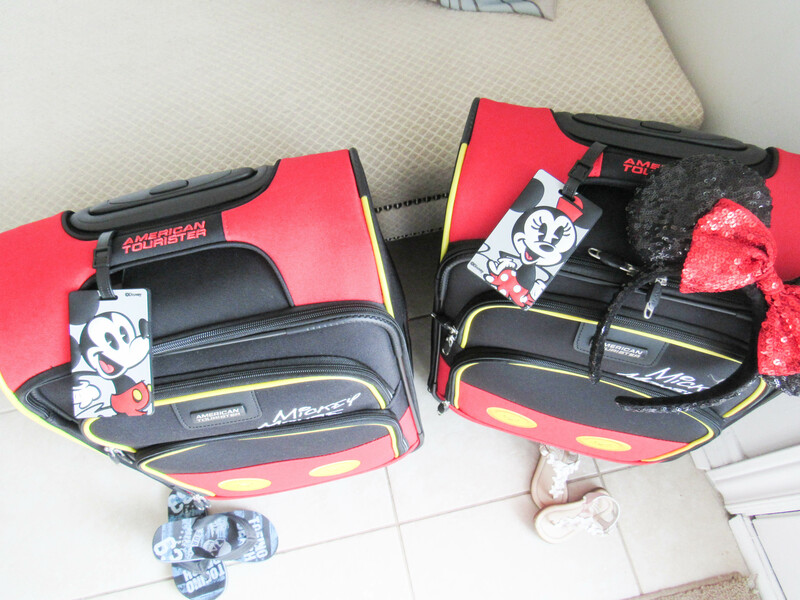 So there was no fighting, we let both of them pack their own clothes in each of the carry-on bags. 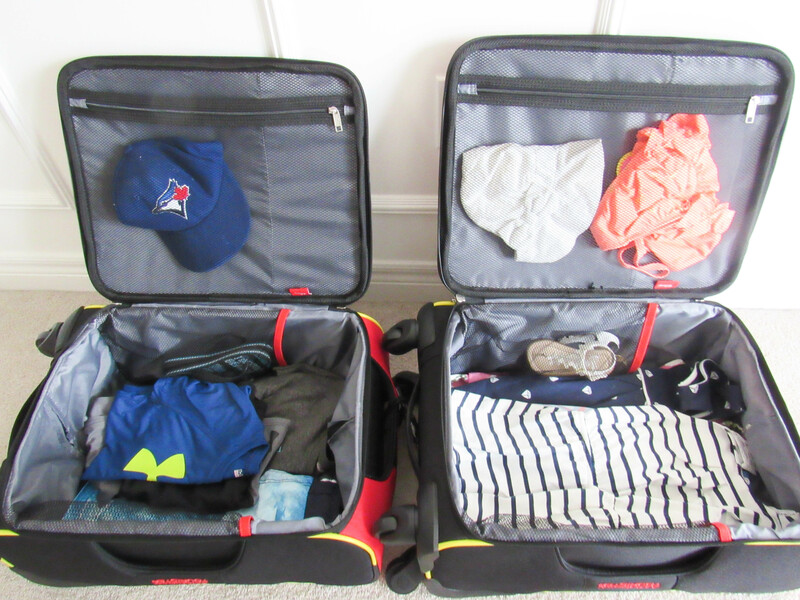 Then, my husband and I just added our clothes to each of the bags when they weren’t looking! We can fit a ton of stuff in these bags. Aside from the large compartment section for all the clothes, there are also 2 mesh pockets on the inside. We put their hats, socks, and bathing suits in the larger pocket. We used the smaller mesh pocket on the inside for their shoes. 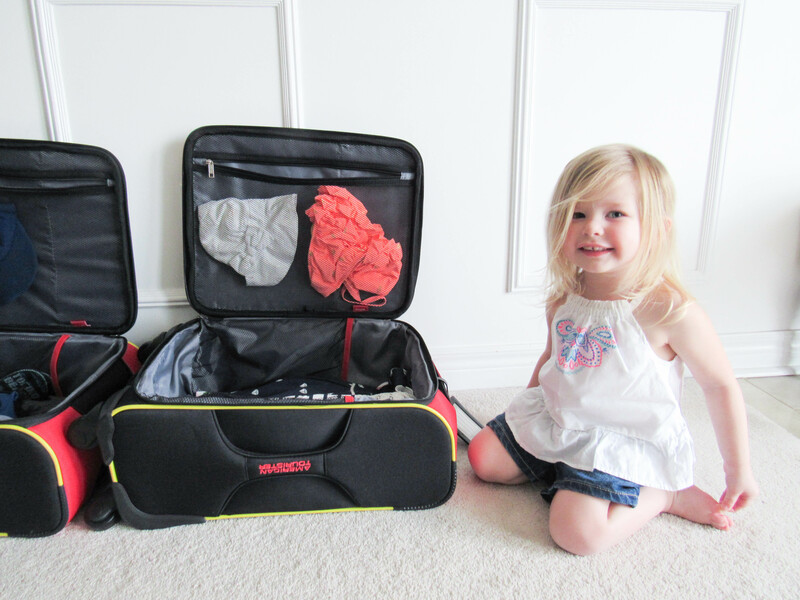 They also come with cross straps inside to help prevent clothes from shifting while travelling. Well we’re all packed and ready to go! I will be posting a ton of pictures of our trip on social media, so follow along on Instagram, Facebook & Twitter! Disclaimer: Items in this post have been provided to me for review, but all opinions are my own.